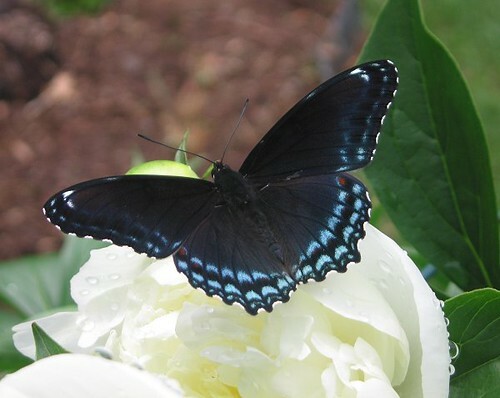 Black Swallowtail. - Welcome to The City of Desire. Black Swallowtail on the Duchesse!, a photo by Leenechan on Flickr. I never managed to get a photo of one of these last year. EDIT: Buhhhh...this is actually not a black swallowtail. It's an "Astyanax" Red-Spotted Purple. Sorry!